This page is for the reboot. For the original game, see X-COM: UFO Defense. The game suffers from an abundance of bugs. Some bugs were game-breaking as of 2012. Complete Edition. Elite Edition also available. GOG.com version is single-player only. Complete Pack and Complete Edition include all the DLC. Elite Edition for OS X includes the two DLC packs, but not the Enemy Within expansion. Pre-order bonus, also available for separate purchase. Savegames will start appearing in the wrong order once there are around 100. Having too many savegames can cause slowdowns, which can be fixed by regularly purging them. Savegames are game localization specific. Hence they are not usable if language is switched after campaign start. If savegames are not showing when starting the game in Linux after playing it in Windows, go to the savegames location in Linux and change the name of the folder SaveData to savedata. See the WSGF entry to fix the game rendering upside-down. Includes "Borderless Window" display mode. FXAA, cannot be disabled. Lowest setting is "Low". Game's color scheme is inherently friendly (no dedicated mode). Can bind two key combinations for each function. Some in-game functions cause mouse to accelerate wildly (e.g., any area-of-effect ability). Requires Enemy Within DLC. Must be first enabled in options. Must be first enabled in options. KB/M is disabled while controller is enabled. If Enemy Within is installed, use -FROMLAUNCHER parameter to launch base game. KB/M is disabled while controller is enabled. With surround sound enabled certain sounds such as dialogue audio cannot be heard. Use Helix Mod to improve 3D support. Having a lot of savegames might cause the game to momentarily freeze while loading the "Save Game" screen. Save games can be found in save game data location. Using Gigabyte's OC Guru overclocking tool can cause the game to appear to run in slow motion, then jump forward in time every few seconds. Windows XP is not supported, but the game can be made to run on it using this guide. The following cards require 8 GB of RAM: Nvidia GeForce 320M, Nvidia GeForce 9400 and Intel HD3000. The OS X version is not supported on these graphics cards: ATI Radeon X1xxx series, ATI Radeon HD2xxx series, Intel GMA series, Nvidia GeForce 7xxx series, Nvidia GeForce 8xxx series. 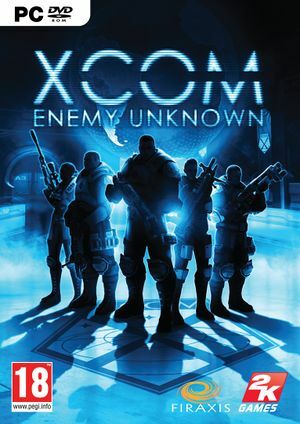 ↑ For some reason XComGame internally returns the arguments value with an extra ". Double quotes are a reserved character in all Windows file systems, so every CreateFile call fails. ↑ PC - Choppy / Lagging graphics issue. This page was last edited on 15 April 2019, at 02:34.